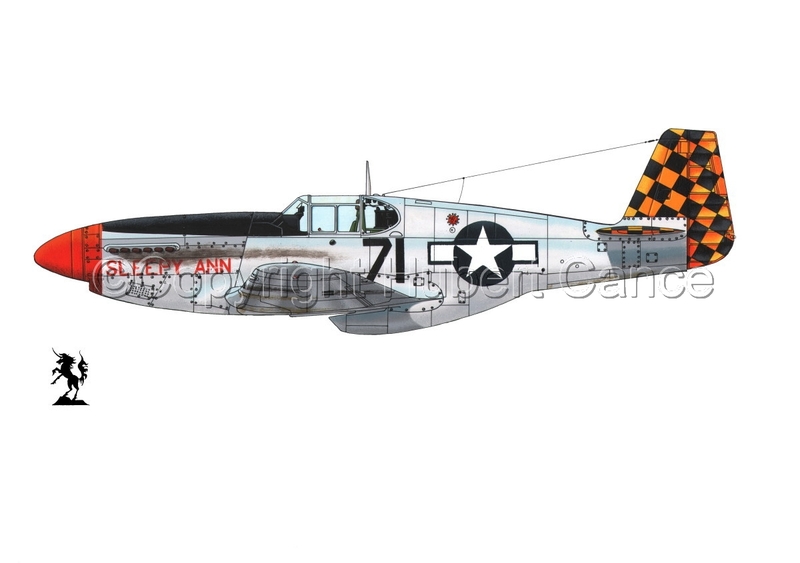 North American P-51B "Mustang", SNr.43-24795, Nr.71 "Sleepy Ann", of the 318th. Fighter Squadron, 325th. Fighter Group, "Checkertail Clan", 12th. Air Force, XII Bomber Command, XII Tactical Air Command, USAAC, Italy, end 1944.